Turn your canned tomatoes into one of Italy's most-revered pasta sauces with this easy Arrabbiata recipe. Simply combine high quality Italian olive oil with garlic, red pepper flakes, San Marzano tomatoes, and basil. With only a few ingredients, be sure to use the very best! San Marzano tomatoes are a variety of plum tomato grown in the rich volcanic soil at the base of Mount Vesuvius in Italy. They have a delicately sweet flavor, low acidity, and a beautiful deep red color that make them the most famous tomato to come out of Italy! Arrabbiata translates to "angry" in Italian and this name refers to the spiciness of the chili peppers in the sauce. 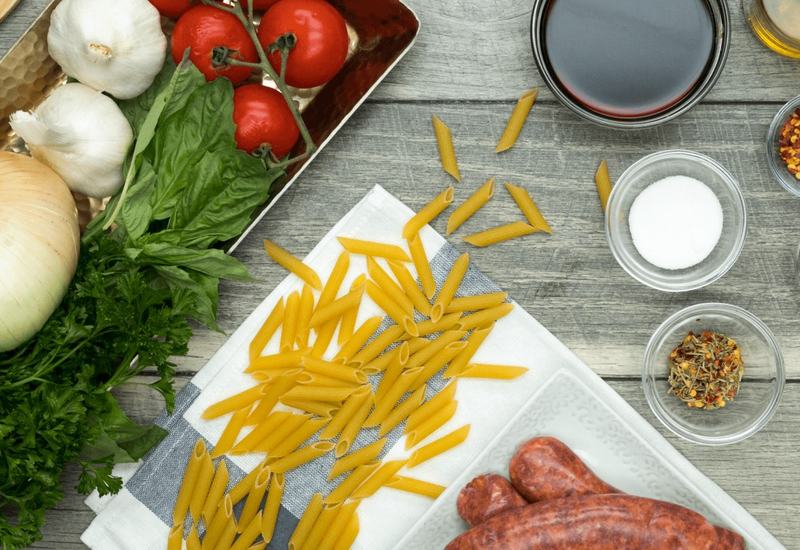 Arrabbiata sauce is typically served over penne pasta. Per Serving: 89 calories; 9g fat; 2.0g carbohydrates; 0g protein; 0mg cholesterol; 99mg sodium. Classic, delicious arrabbiata sauce any Italian foodie would enjoy! San Marzano tomatoes are the way to go! The basil, garlic, and peppers gave it that distinct flavor. I thoroughly enjoyed this! This arrabbiata sauce was excellent! I used organic tomatoes instead of San Marzano, I can only image how they taste with those tomatoes. Also loved the hints of basil, so good.